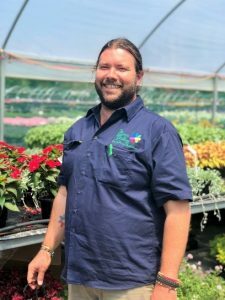 In partnership with Nursery & Garden Industry Australia (NGIA), the Review of Nursery Industry Career Pathways (NY17002) project is delivered by RM Consulting Group (RMCG), and works towards attracting, developing and retaining the right kind of people into our thriving and dynamic industry. The next phase of the project looks to gain further insights on proposed recommendations that will foster a more sustainable workforce for the industry – promoting growth and innovation. RMCG’s findings confirm that there are key challenges within the industry, particularly with attracting and retaining staff, and opportunities for professional development. The industry’s high staff turnover rate and perceived limited career pathways, makes it difficult to source qualified entrants and retain existing ones. Several interesting statistics have come from this project – which found that 72% of the workforce is male, and how a significant 85% of the workforce is over 40 years of age. RMCG have been able draw out industry insights, such as identifying a noticeable gap in people development skills. They have been able to pinpoint remuneration, working conditions, and lack of career growth opportunities as key barriers to attracting skilled entrants. What’s next? Hear the findings and have your say. RMCG is giving you the chance to have your say on their proposed recommendations to address the workforce issues that are impacting you and your business! To do this, they will be running a short, interactive webinar on Wednesday, 17 April from 11:00 – 11:30am AEST. For the chance to provide your insights on these key issues and recommendations, register for the webinar at: https://bit.ly/2CgeCW2. To learn more about this project, head to: https://bit.ly/2IX9Zpr. It’s important to support all efforts that focus on developing both short and long-term approaches to addressing these workforce issues – after all, our workers are the advocates and faces of our businesses. The Review of Nursery industry career pathways (NY17002) project has been funded by Hort Innovation using nursery industry levies and funds from the Australian Government.